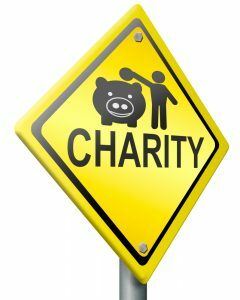 What Is Bunching of Charitable Contributions? Since the new tax laws in place doubled the standard deduction to $12,000 for single tax payers and $24,000 for those married filing jointly, this means that you need to understand how this affects your itemized deduction planning. There are changes that repeal or limit many itemized deductions, such that in 2018, 90% of taxpayers will be using the standard deduction. For anyone who is contemplating the standard deduction rather than itemizing, consider putting all of your charitable contributions across alternate years if this will enable you to itemize in a future year but take the standard deduction one year. One other avenue to pursue if you wish to consider this option is to contribute to a donor advised fund, making distributions to that charitable organization over the course of time. This is most appropriate if you do not want to give the money to charity all at one time. Annual exclusion gifts should also be considered as end of year options. For those who want to minimize their exposure to estate taxes, remember that you can gift up to $15,000 to an unlimited number of people every single year without decreasing your lifetime estate tax exclusion or paying gift tax. If you spread this out over the course of multiple years, such as you would with your charitable contributions, now is a good time to talk to an experienced estate planning lawyer about how this will affect your future planning and needs. The support of an estate planning attorney can help you to stay on top of all necessary estate planning changes and tax law updates that might affect you and your loved ones. Appropriate tax planning should always be done in conjunction with the support of an accountant and an estate planning professional. Many people in the past made decisions about their charitable giving, not just because they were motivated by philanthropy but also because they received tax benefits for making charitable donations. Charity can help you to meet your personal goals regardless of tax benefits and now might be a good time to update your estate planning lawyer if you have questions. In most cases, the non-tax benefits of charitable giving are more important when it comes to planning and motivating donations. Most donors will receive very little, if any, tax benefits from donations after the implementation of Tax Cuts and Jobs Act of 2017. But non-tax motives can still remain top of mind for you. Remember that charitable giving can take numerous different forms and there are great ways to add charity to a number of different types of estate and financial plans. Your existing charitable giving approach might need to be reevaluated to provide for important personal benefits. Charitable giving can include naming charity for bequests or gifts that could be deferred or might not occur. If events happen such that your primary goals are no longer possible, it’s good to have this flexibility built into your financial plan. For those charitably inclined couples who do not have children, a good spin on the typical scheme focused on tax benefits can enable charitable benefits and taking care of each other. On the death of the second spouse, all of the wealth could be transferred to a charity with which both were actively involved. An estate planning attorney is the first person you should talk to about whether or not the plans you currently have will indeed work for the goals that you have on tap and how things will look in the future. 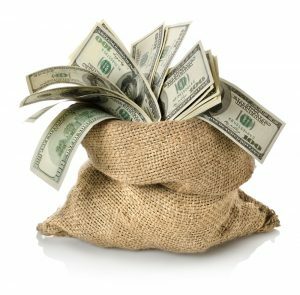 A family that has amassed a significant amount of wealth will have special planning considerations that should be addressed directly by an estate planning attorney. When contemplating a major charitable gift, you have several different options at your disposal including charitable trust, private family foundations, and donor advised funds. These are all unique and should be discussed in full with your estate planning lawyer. Most families with wealth have plans to gift to charity over the course of their life as well as within their estate, and this notable goal helps to empower a broad range of charitable organizations for years to come. With giving in this manner, a person or a family can establish a clear legacy for the future. 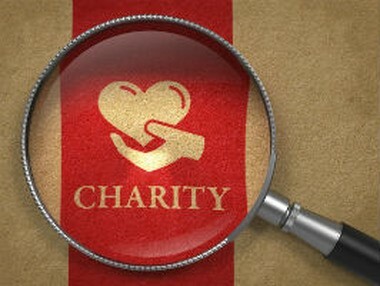 A charitable trust is one of the most common ways to manage charitable giving over the course of time. This allows you to utilize a charitable deduction currently while making a large one time gift to charity. You can also receive income payments from that property over a period of years or designate another person to receive them. Having a plan helps to minimize tax consequences as well as to maximize what’s given to the charity. Working together with an estate planning lawyer, you can accomplish several goals at the same time. A private family foundation, however, allows donors to make a one-time substantial gift as well as to stay involved in how that gift is ultimately distributed. You can even name family members to serve on the board of trustees or board of directors. Finally, one other option is donor advice funds. This operates much like a traditional investment account and allows a financial manager to charge a fee and a minimum required initial distribution. Talking over your options with a knowledgeable estate planning lawyer is the first step in accomplishing your estate planning goals and outlining a plan to address your philanthropic considerations and achievements. Being an art collector can be a hobby that you work on over the course of your life. Many art collectors discover, however, that their children may not be interested in the valuable collection that has been amassed. This presents the unique quandary when it comes to estate planning for the art collector. As with any other major type of collection, advanced planning can be extremely beneficial because it gives you the most opportunities to determine the best way to pass on your assets. Gifting to charity or museums are common things that an art collector might consider, but having this documented years in advance will give you a clear perspective over how this impacts your state and benefits others. Consulting with an estate planning lawyer is strongly recommended if you have a large art collection. Special considerations must be applied to any large collection of materials particularly art which may have amassed a great deal of value over a long period of time. Considering the current capital gains environment, talking to a lawyer who is experienced in helping you determine a plan for passing on these materials is strongly recommended. This gives you the greatest peace of mind and the clearest plan about which museums or other organizations can benefit significantly from your donation and how this impacts your own tax implications as well. Any other special collections you need to include in your estate planning? Schedule a consultation with an experienced estate planning lawyer as soon as possible to discuss the benefits of thinking well in advance about your planning opportunities. Your art likely holds a special place in your heart and thinking carefully about the best way to manage it going forward gives you more opportunities to approach your planning with an open mind. When many people approach the subject of estate planning, it’s quite possible that they will have multiple goals. First of all, they may want to articulate plans for their own belongings when they pass away. Others might want to ensure that their specific wishes related to end-of-life care are clearly outlined in legal documents to address potential concerns with family members who may argue over intentions. Still others may want to incorporate planning giving, or making charitable gifts to others, into their overall planning structure. All of these are worthwhile goals and it’s also possible for them to work hand in hand. Your lawyer should help you create a comprehensive plan. 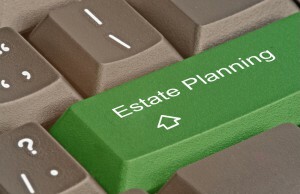 The concept of planned giving usually should come up in any conversation with an experienced estate planning attorney. This is particularly true when the estate owner was very charitable or philanthropic in their life. Estate planning and planned giving are becoming increasingly intertwined as individuals think about the legacy they wish to leave behind. The relationship between estate planning and planned gifts is a deeply connected one. 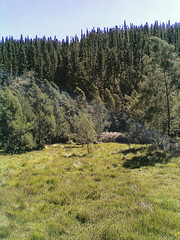 Working together they can provide a stable method for passing on to those with significant needs after the creator passes away. Individuals who are putting together their estate may wish to leave a portion of their state to something they care about. This may be in conjunction with any planned gifts that are made over the creator’s lifetime. A posthumous gift to a charity can help to generate a legacy of philanthropy and also hep to support an individual’s personalized wishes. 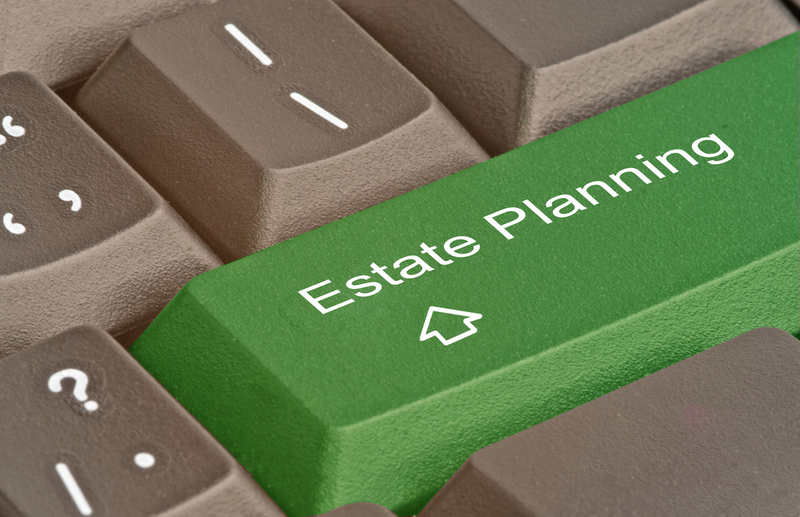 Consulting with an experienced estate planning attorney about all of the options available and strategies that can be used in order to combine estate planning with planned giving is strongly recommended. If you’re thinking about giving some of your assets to charity and want to use the estate planning process to do so, you are not alone. Many individuals, regardless of their net worth, understand the value of giving back. Charitable giving benefits go well beyond planning for taxes. This is also a way to support your personal beliefs and values and to ensure your legacy. Although no two individuals are the same and you should certainly consult directly with an estate planning attorney about your options, you need to realize that you do have some flexibility with what to give. Giving a check no matter how big the check is might not actually be the best way to assist you or the charity. From the perspective of taxes, the type of asset or property you give could have different consequences. You could be limited in the amount of cash you can actually gift to a charity while still getting a tax break. Sometimes people will choose to instead give appreciated public securities. Consulting with a knowledgeable estate planning lawyer in your state is the best way to determine how to translate your unique wishes and desires. Giving to charity is always a noble thing, but you stand to make a big difference if you incorporate giving into your estate planning. Using your will or a trust, you can name a charity directly. The benefit here is that it’s the simplest method, and many charities might prefer to receive assets in a big lump sum like this. This certainly is not your only option, however, and your New Jersey estate planning attorney might be able to help you figure out a better way to pass on assets. 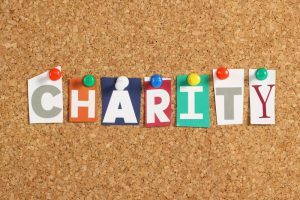 Charities do not pay income taxes, so a retirement account donation made to a charity may be more beneficial than passing on those funds to a person. Since individuals have to pay federal and local income taxes on proceeds from a retirement account, a charity may be a preferred option. Your estate tax burden is also minimized since the gift may qualify you for a federal estate tax charitable tax deduction. Some nonprofits help individuals put together legacy funds to support community causes for years to come. You can talk more with your estate planning attorney about your options and how this can be a gift that keeps on giving. If you are married but do not have any children to pass down your assets to, look at estate planning as your opportunity to do something unique and special with your plans. There is nothing wrong with not having children, and it actually gives you a chance to give back in other, meaningful ways. There may be other people, outside of immediate children, who could benefit from your estate. This can include nieces and nephews, grandchildren, siblings, or even pets. Take some time to consider any special people in your life who might benefit from such a gift. If you have lost a child, you might even consider putting together a scholarship foundation or other organization that can carry on that child’s legacy in your absence. You may also want at least some of your assets being passed down to charity. Have a conversation with your spouse about the causes you care about the most and how you’d like to see funds distributed. Your giving can really help nonprofits that are in vital need of donations. For many individuals approaching estate planning, charitable giving is going to factor into the equation somehow. The most popular way of passing on assets currently is through a charitable remainder unitrust, but it’s not necessarily the best option for everyone, although last year nearly $90 billion was held in U.S. trusts of this type. Tax Savings Today: You want maximize your current tax deduction. A charitable lead trust could be a better alternative for this situation, since you get an immediate federal income tax deduction when the gift is made. The tax deduction equals the present value of the future income stream. You want the gift to begin now: Under a charitable lead trust, the client will typically gift the assets directly to a charitable trust. That trust then makes regular payments for a specific number of years or for life. Under a remainder trust, though, the charity doesn’t get anything until the trust’s term is up. You want to see regular payouts: This is there’s a difference between a charitable remainder annuity trust and a unitrust. The annuity trust guarantees equal payouts throughout the length of the term (such as every year), which gives the person setting up the trust confidence that payments are being made at regular intervals. When it comes to charitable giving, you have options. Contact us today to learn more via email info@lawesq.net or 732-521-9455 to get started. Are you thinking about making a gift to a charity on your death? 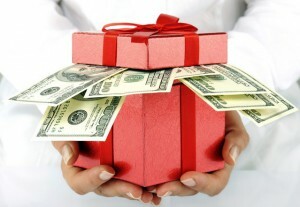 It might be a better option to instead consider gifting your retirement account, and there are a few different reasons for this. This can help to maximize the tax benefits for your estate, but also for the individual heirs benefitting from your estate. As of now, assets above the value of $5,340,000 that are outright transferred from a taxable estate are hit with a 40% tax, even though the individuals who receive those assets don’t have income taxes also taken out of that amount. There is, however, an exception to this, and it’s for IRAs, 401ks, and qualified retirement plans. They are categorized as ordinary income as distributions since the government has not yet taxed this money. Gifts to charity are not subjected to the estate tax and are at the same time excluded from the taxable estate. The amount gifted to the charity can be deducted from your federal estate tax return to reduce your overall estate beneath the $5,340,000 referenced above. When done properly, this could mean that little or no federal estate tax is due upon your death, therefore meeting your goals of gifting charitably and maximizing the value of your assets for your beneficiaries. To learn more about charitable giving and other strategies to accomplish estate planning goals, send us a message at info@lawesq.net or contact us via phone at 732-521-9455 to get started. While it is not the first item on everyone’s resolution list, the New Year is a great time to discuss your estate plan with your family. As a recent article explains, the benefits of having the estate planning discussion far outweigh the problems that may otherwise arise out of the desire to avoid a sometimes awkward or difficult conversation. First, discussing estate planning provides your family with a sense of empowerment because it allows your family members to take control of your family’s collective future. Without this element of control, many aspects of your estate plan are inevitably left to chance. Additionally, through discussing estate planning, you can pass on your family values. 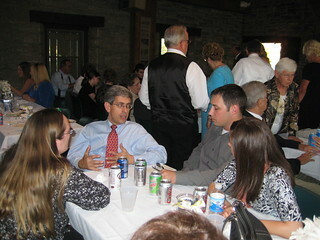 For example, discussing charitable giving is a great way to talk about the causes you are passionate about. Additionally, you can discuss the stories behind sentimental objects and why you are distributing them as you have selected. 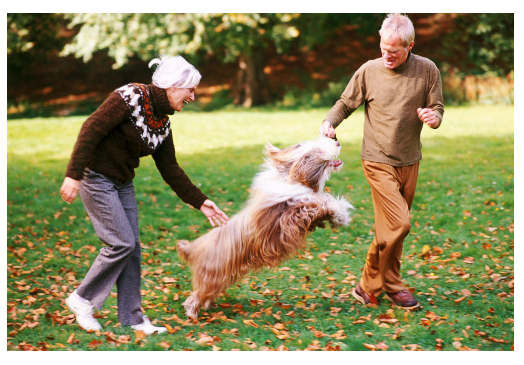 Finally, discussing your estate plan with your family helps to prepare the family, should you become incapacitated. Your family will be better able to carry out your wishes and tend to your affairs if they know what your plan for incapacity is and how you would like them to implement it. The United States is home to thousands of charitable organizations that benefit everything from diabetes research to stray cats. These charities provide unlimited opportunities for people to contribute to organizations that support the causes that align with their philanthropic goals. A recent article describes how to plan for charitable giving. An important part of charitable giving is balancing your philanthropic goals with your financial goals. Consider how to make your personal goals for charitable giving align with your overall financial plan. This consideration will help you determine how much you can realistically give. Once you know what you can give, it is time to evaluate your giving options. Research various charitable organizations to find the one that best promotes your charitable goals. Realize that the best charity for you may be outside of your state, or even country, of residence. If you do not want to give funds directly to a charity, consider setting up your own foundation, donor-advised fund, or charitable trust. It is also possible to donate your experience rather than money. Donations of time and human capital include serving on the board of a non-profit organization or sharing your professional expertise. As the economy continues to heal, charitable giving is again growing. Following two consecutive years of decline, charitable giving increased 3.8 percent from 2009 to 2010. According to nonprofit leaders, however, it could take years for charitable giving to return to pre-recession levels. A recent article in InvestingDaily discusses strategies for those who are able to make charitable contributions to maximize the current and future value of the gifts transferred. First, consider giving property that you know is going to appreciate. By gifting such property out before it appreciates, you remove that appreciation from your own estate. Gifting appreciable assets should happen early in the year so that any subsequent appreciation during the year will not count against your exclusion amount. Alternatively, you can also save on appreciation costs by giving an asset when it has a low market value. On the other hand, it is wiser to retain “loss property.” If a piece of property decreases in value during your ownership of it (rendering it “loss property”), neither you nor a future recipient is allowed to deduct that loss upon gifting the property. A better choice would be to sell the loss property so that you can deduct the loss on your tax return, and then gift the cash instead.